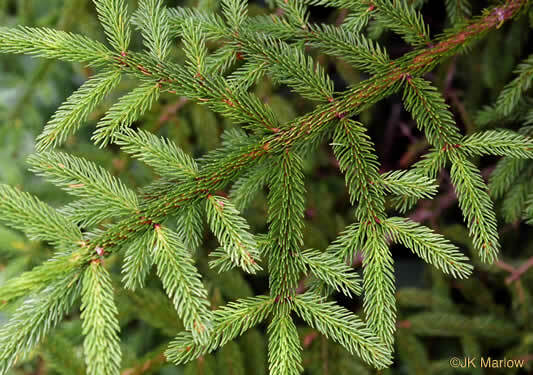 Your search found 12 image(s) of needles of Fir, Hemlock and Spruce. 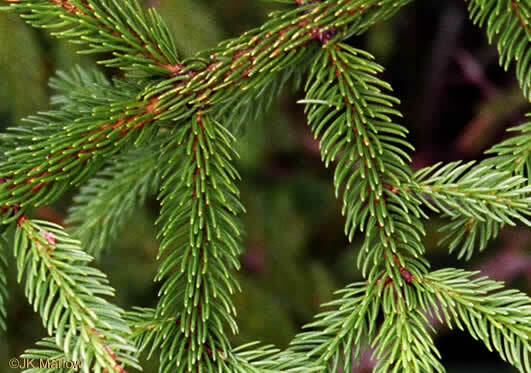 Needles bright green without white bands below, much shorter than Abies, per Native Trees of the Southeast, An Identification Guide. 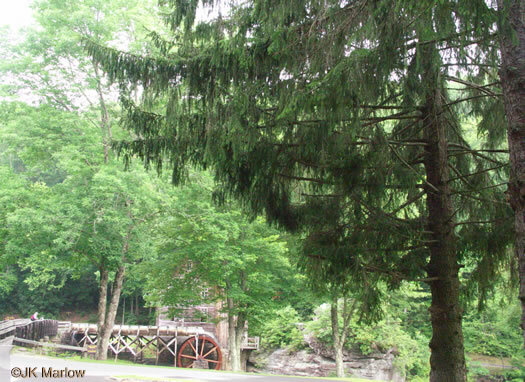 Leaves 4-sided, per Woody Plants of the Blue Ridge. 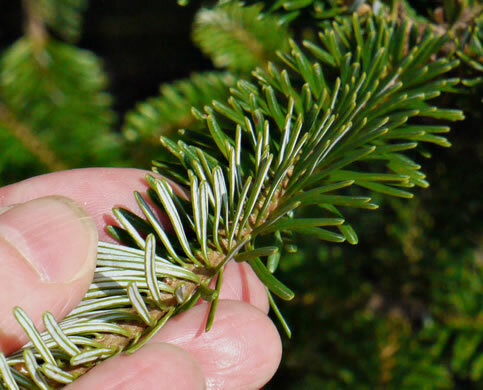 Leaves [needles] attached to peglike bases on twigs, per Woody Plants of the Blue Ridge. 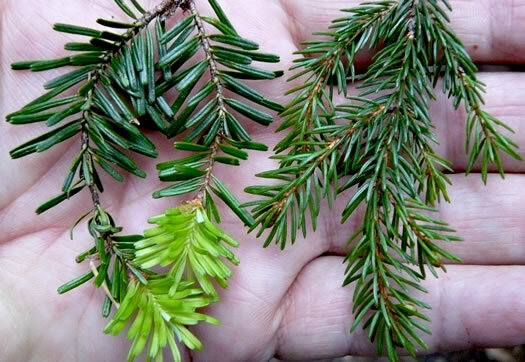 Left: soft balsam-scented needles of Fraser Fir. 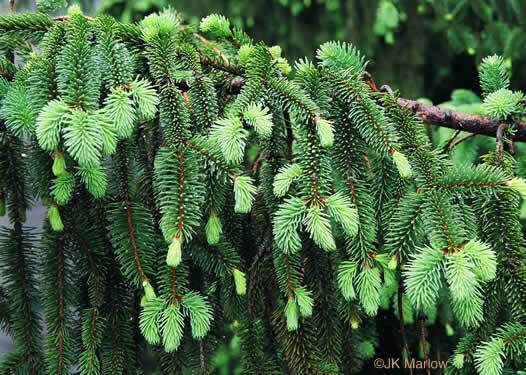 Right: prickly Red Spruce, per Alpine South: Plants and Plant Communities of the High Elevations of the Southern Appalachians. Leaves 4-sided, pointed, attached to peglike bases on twigs, per Woody Plants of the Blue Ridge. Drooping of twigs & branchlets on lower limbs apparent only on mature trees, per Woody Plants of the Southeastern US: A Winter Guide. 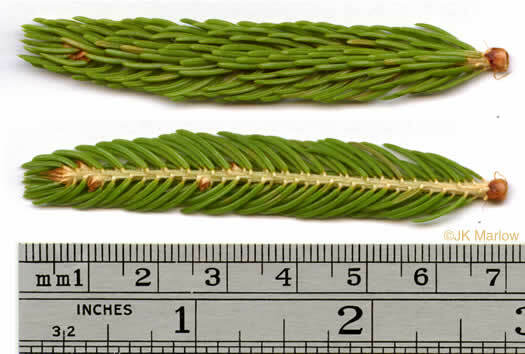 Needles 2-ranked, flattened, with 2 narrow whitish bands of stomata beneath, per Native Trees of the Southeast, An Identification Guide. 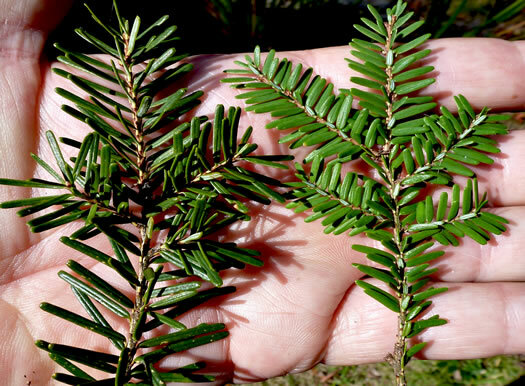 Left: leaves (needles) of Carolina hemlock. 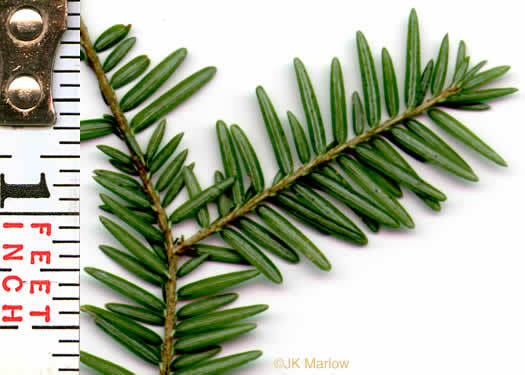 Right: Canada or eastern hemlock, per Alpine South: Plants and Plant Communities of the High Elevations of the Southern Appalachians. Needles flat, extending in all directions rather than in one plane, per Woody Plants of the Blue Ridge. 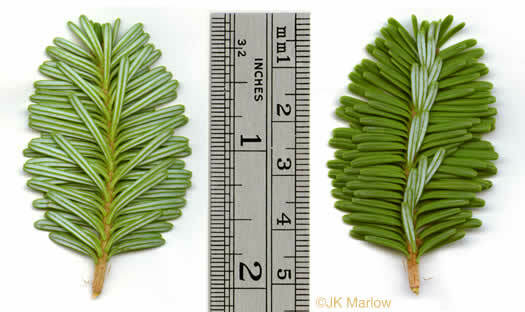 Needles not more than 1" long, green above & with chalky white bands below, per Native Trees of the Southeast, An Identification Guide. 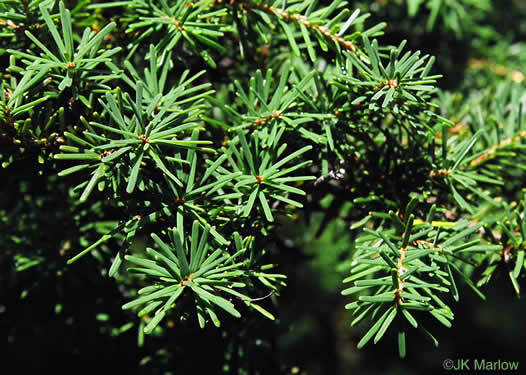 Foliage soft to the touch, with a strong resinous odor when rubbed, per Trees of the Southeastern United States.